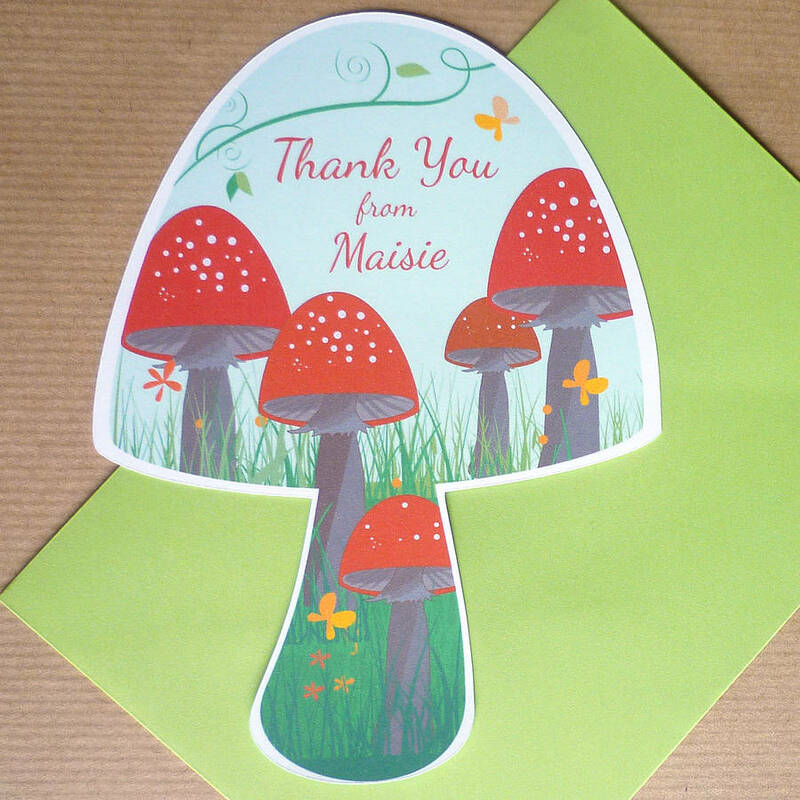 Adorable toadstool shaped personalised thank you cards with green envelopes. 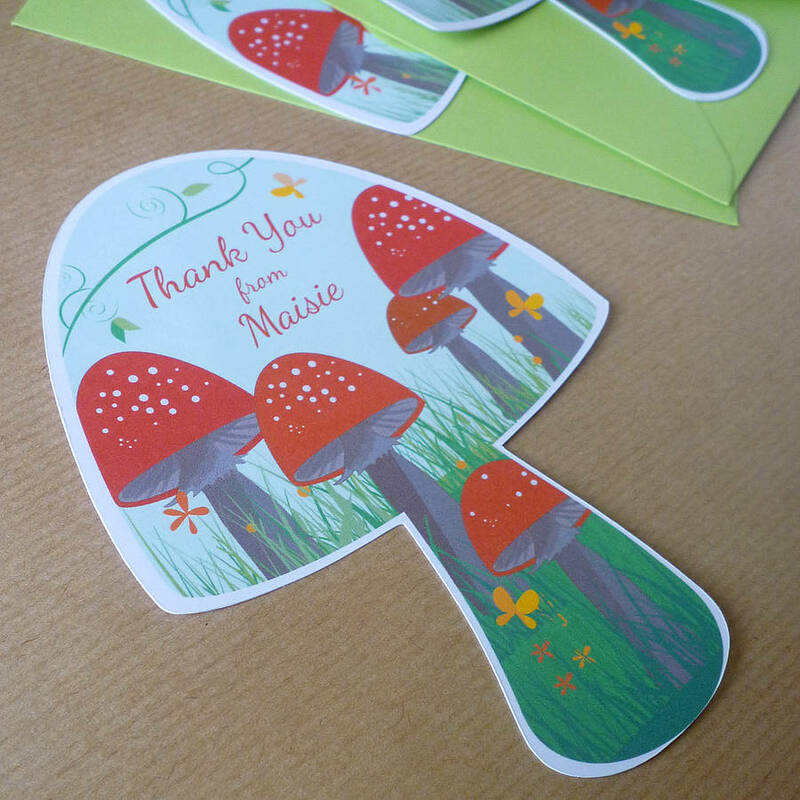 Personalised with your child's name and made to order, these cards are the perfect way to thank your guests and well-wishers after a birthday party or christening. 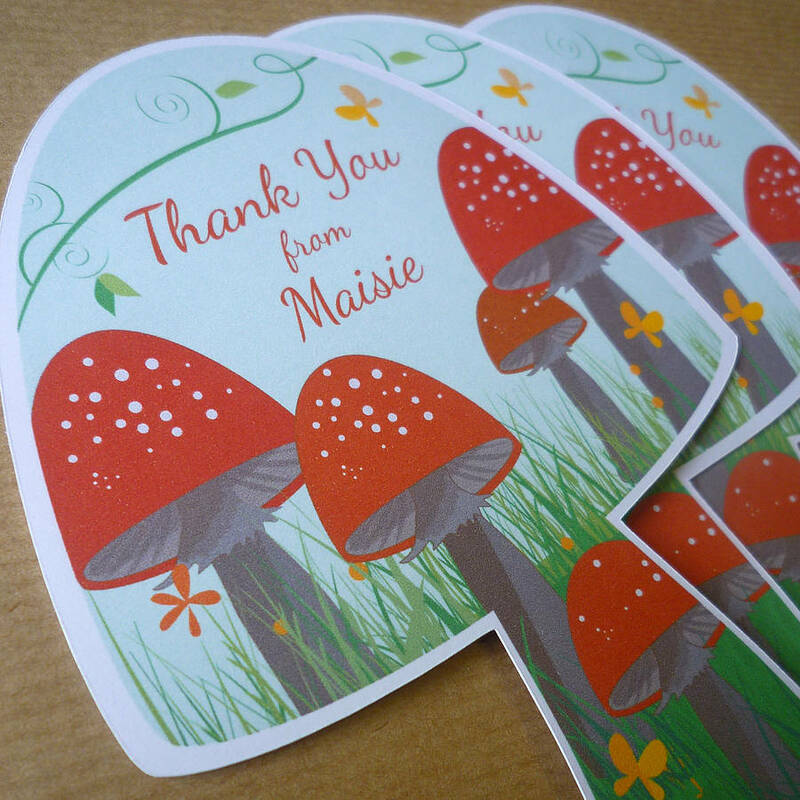 These flat, single sided cards feature a woodland theme with toadstools and butterflies, in shades of red, green and yellow. The front reads 'Thank you from (child's name)' in red, and the back is left blank for your own message. 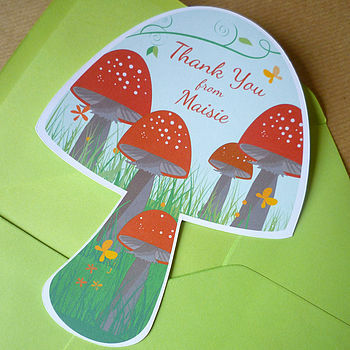 The cards are printed on matte smooth card and supplied with green envelopes. Please note there is a minimum order of 6 cards for this item. Please make sure you take extra care when typing the required name or names to avoid any spelling mistakes. The cards are made to order on smooth white card. They are supplied with envelopes and packed in a cellophane wrapper.